Emily Kane is a high school student. At least she is as her adventures start and she is for several intense escapades which show how much she would like to be a normal young woman and how much the world would like to prove she is not. For all of her young life, she has lived on an estate of a wealthy man, Michael Cardano, for whom her father worked as a chauffeur and bodyguard. The relationship between her father, George Kane, and Cardano was an interesting one for while it was obvious who the boss was, it was not so to see the line between employer and employee. There was no doubt there was sincere affection between the two as well as considerable history, most of which they kept secret. To the young Kane, this was not important as she was as much a part of the Cardano family as she was with her father. Yuki, the Japanese cook and housekeeper was like the mother she never knew. Cardano's wife was almost a second mother and Cardano's young son was her brother in every way except blood. Kane's life was like any other girl growing up in western Virginia with the exception of the rigorous training she got from her father. 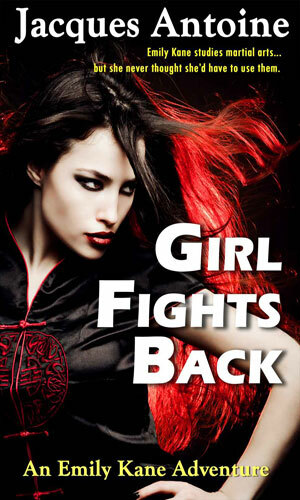 Martial arts was a constant part of her life as well as survival training in numerous environments. It was obvious to her that this was in preparation for a day she might need them to stay alive but the idea that she would ever need them seemed far remote. Until the remoteness disappeared. Cardano had for many years been a part of the U.S. intelligence community and her father even more so. One of their most important assignments had been to protect a Japanese scientist who was working on a way to create the means to make soldiers far more than they normally might be. He seemed close to success though never quite there but his progress made others want it as well. It was the job of Kane's father to keep him alive. Doing so meant staying close and that meant getting to know the man's grown daughter and assistant. They got to know each other very well. When things went bad, they did so quickly and thoroughly. The scientist was killed. The now pregnant daughter and Kane fled. The pursuit for them and the research continued. Years later, Emily Kane would learn of this in pieces. She would learn how her mother, whom she thought dead for many years, was still alive. She would learn her father would and did give his life to save her. She would learn that those who wanted what her grandfather had worked on now thought she might be a product of that research. And she would learn that her natural talents, not genetically enhanced as some felt, were very good indeed. This series depicts the coming of age of a young woman and the people who want her dead or captured and the many friends she would gather as time goes by. A junior in high school, Emily Kane's life is ripped apart when the estate on which she lives with her father, an employee, is attacked. She must now use the training she has learned all her life to survive. 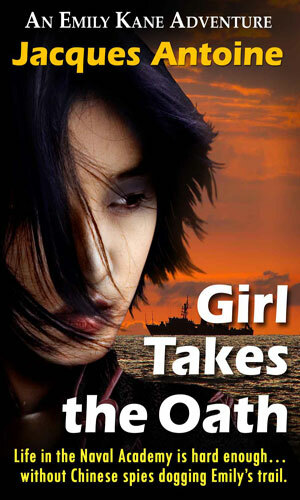 North Korean agents kidnap two small children as trading tools to get Emily Kane. 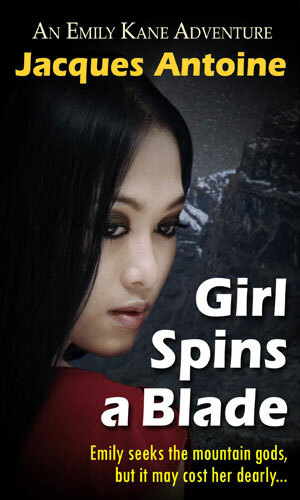 Agreeing to go with them is the beginning of another adventure in which she, and they, learn how dangerous she can be. 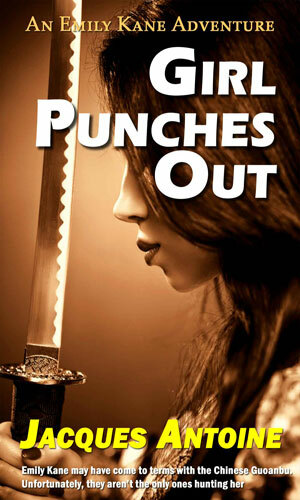 A cousin of her father, perhaps more deadly than he had been, has come into the picture, willing to kill anyone, even Emily Kane, to fulfill his mission. High school graduation was not supposed to be so bloody. Needing a new path now that high school is over, Emily Kane agrees to attend the U.S. Naval Academy. That military establishment does not stop foreign powers from coming after her, determined to take her away. On a joint exercise with US, Japanese, Chinese, and Australian naval forces, Emily Kane discovers something very concerning and the object of her interest discovers her. With lots of people wanting different things, staying alive is hard and keeping those she cares about safe even harder. 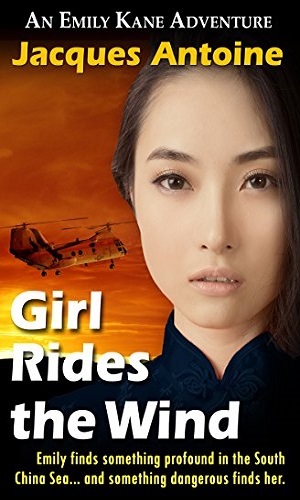 Nothing is ever easy for Emily Kane and that includes the new assignment to Beijing as an attache at the Embassy. 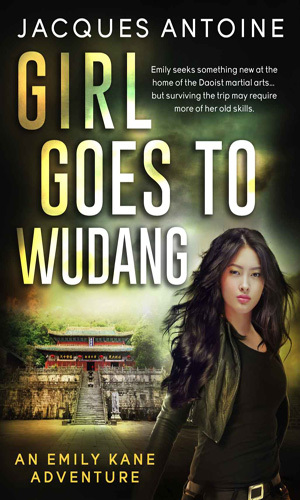 When a friend with the Chinese intelligence bureau asks her for help, Kane finds herself and Li Li on a trip to the Wudang region, one that will test her skills at survival. Terrorists invade the Louvre. They only had a bunch of defenseless tourists to handle. It was going to be easy. Except one of those tourists was Emily Kane. The terrorists had no idea the trouble they had just caused for themselves. Needing some time alone after high school, Emily Kane heads to Nepal to learn from the Hindus and Buddhists there. She learns much but trouble learns where she is as well. I had no idea what to expect when I started this series. Was it a Young Adult series or not? Was she going to become an operative like it seemed her father had been? 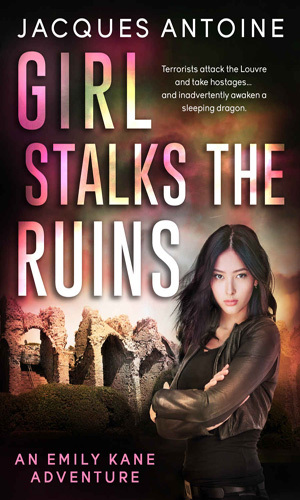 Was this going to evolve into an Urban Fantasy series or a Spy series. What I found by the end of the first book was that I had not yet come up with any certain answers but I was totally hooked. Kane definitely does not want to be a part of any operation; she wants to grow up and be "normal". Life is not going to be so accommodating. Watching the bad guys pull her into their trap only to see that she was in control all along - that is a hoot. To steal a line from a different movie but one that fits perfectly with several scenes in this series, Kane will look at assailants ready to subdue her violently and remind them that what is about to happen was "their idea". Bad idea! There is a young adult element to this series, purposefully. There is a good deal of spy series as well as North Koreans, Chinese, Russians, several different set of American alphabet agencies, and more go after Kane. 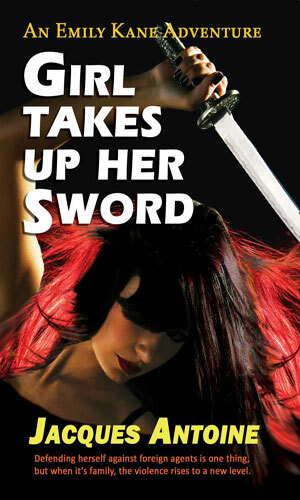 There is Urban Fantasy with Kane having odd dreams of goddesses and demons. That is a lot to have all together. If, however, you read the series as something fun and do not demand all things be realistic, you are likely to have as much fun as I did with them. By the time I was near the end of the first, I knew I would not stop until the last one (so far) was finished and that is what happened. I like Emily Kane. I would make sure she did not dislike me!